Chinese Taoism is basically A principal philosophy and system of religion of China. Basically, Chinese Taoism advocates a life of complete simplicity and naturalness and of noninterference with the course of natural events, in order to attain a happy existence in harmony with the Tao. The history of Taoism is relatively “unknown”. According to Wikipedia, the history of Taoism depends on how it is defined, “Taoism's origins may be traced to the prehistoric Chinese religion; to the composition of the "Tao Te Ching" (3rd or 4th century BCE); or to the activity of Zhang Daoling (2nd century CE). Alternatively, one could argue that "Taoism" as a religious identity only arose later, by way of contrast with the newly-arrived religion of Buddhism, or with the fourth-century codification of the Shangching and Lingbao texts. As you can see, the Lao Tzu Tao Te Ching is a very powerful text, regardless of the history of Taoism. 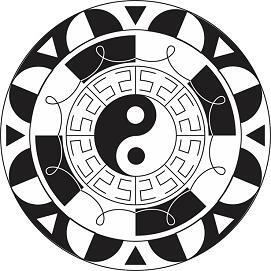 Are you interested in learning more about Taoism and the Tao Te Ching…for free! Jason Randhawa, the author of this article, has also created a Tao Te Ching E-Course. And the next, crucial step on your journey could be to read the Tao Te Ching credited by Lao Tzu. This is one of the most widely read sacred books because of its inspiring content and true simplicity. Sign up now, for your free Tao Te Ching E-Course, at: http://www.whatismetaphysics.com/freetaoecourse.